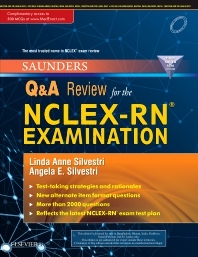 Practice makes perfect with Saunders Q&A Review for the NCLEX-RN® Examination, First South Asia Edition. This popular review offers 500 test questions, giving you all the Q&A practice you need to pass the NCLEX-RN® examination! Each question enhances review by including a test-taking strategy, rationales for correct and incorrect answers, and page references to major nursing textbooks. Questions are organized to match the Client Needs and Integrated Processes found in the most recent NCLEX-RN test plan. From the most trusted name in NCLEX review, Linda Anne Silvestri, this resource is part of the popular Saunders Pyramid to Success.